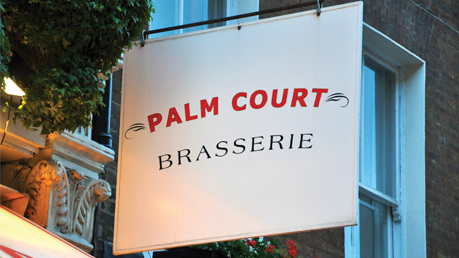 Palm Court Brasserie has earned its reputation as the perennial favourite of Covent Garden. Palm Court Brasserie is an elegant time capsule and an oasis of sophisticated calm – an intimate Parisian-style brasserie with a modern European menu which embodies the classic brasserie offerings of good food, simply cooked and fairly priced. Popular with all, Palm Court generates the kind of atmosphere that makes you want to linger. Whether you are dropping in for a meal or a glass of wine with friends and family, it is the ideal place to help you relax and unwind. Palm Court brings a little touch of Paris to the heart of London. • Customers are strongly advised to reserve in advance. Offer not valid Saturday and 1 - 31 December.